Life is a cabaret, old chum. Come to the cabaret! For one night only living legend Liza Minnelli returns to the London Palladium for An Intimate Evening with Liza Minnelli.The 90 minute show will begin with Minnelli being interviewed live on stage by her friend Bruce Forsyth about her life, sharing stories from her Hollywood childhood as the daughter of Judy Garland through to her own career successes on stage and screen. This will be followed by a selection of songs accompanied by her long time musical director Billy Stritch. The show will end with a Q and A with the audience. Liza Minnelli is probably best known for her role as Sally Bowles in Cabaret directed and choreographed by Bob Fosse, a performance which earned her an Academy Award.This performance will mark Minnelli’s fifth at the venue having previously appeared alongside her mother in 1964 and played solo shows in 1973, 1978 and 1986. 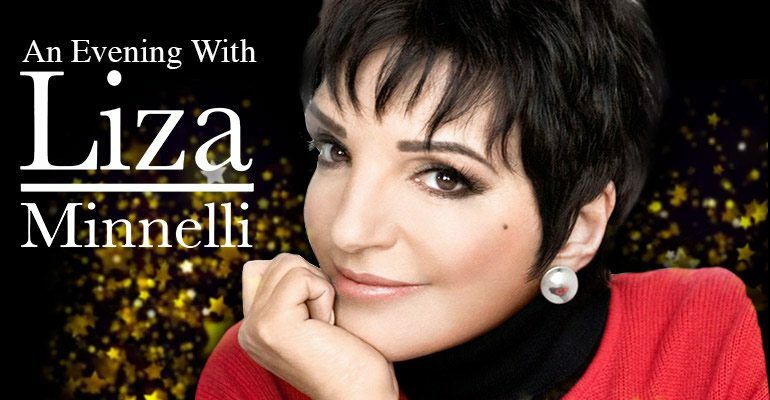 An Intimate Evening with Liza Minnelli will take place on the 20th of September 2015.